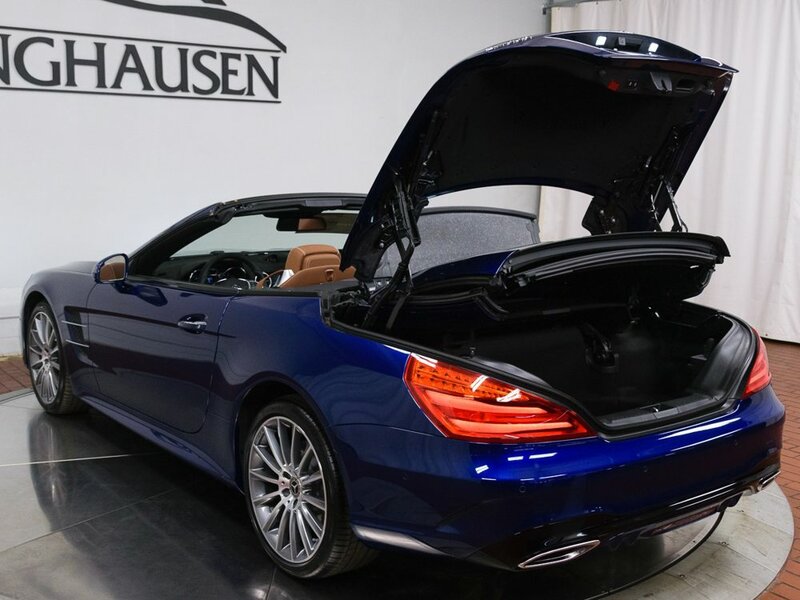 This beautiful 2019 Mercedes-Benz SL 550 in Brilliant Blue Metallic with Saddle Brown Interior has factory options including Driver Assistance Package, 19 AMG Multi-Spoke Wheels, Soft-Close Doors and a long list of standard features. Inspiring desire for generations, the Mercedes-Benz SL Roadster is love at first sight, all over again. To take advantage of this beautiful roadster just in time for summer, please contact a Mercedes-Benz sales specialist today by calling 877-362-9715. Isringhausen Imports is Central Illinois' premier new car, used car and certified pre-owned (CPO) dealership for quality BMW, Porsche, Volvo and Mercedes-Benz vehicles. At Isringhausen Imports, we have become a leader in the industry by working each day towards the greater good of our customers, our fellow employees, and our community.